For the 2007 Indian film, see November Rain (2007 film). For the 2014 Nepali film, see November Rain (2014 film). "November Rain" is a power ballad by the American hard rock band Guns N' Roses. Written by the band's lead singer Axl Rose, the song was released as a single in 1992 from their third studio album, Use Your Illusion I (1991). It features a sweeping orchestral backing and is one of Guns N' Roses' longest songs. "November Rain" peaked at number three on the United States Billboard Hot 100 chart, making it the longest song in history to enter the top ten of that chart. It is also the third longest song to enter the Hot 100 chart (second longest at the time of its release). The song reached number one on the Polish LP3 Chart, number four on the UK Singles Chart, number five on the Australian ARIA Singles Chart and the top 10 on several other music charts around the world. Since its release, the song has sold over a million copies worldwide. Lista Przebojów Programu Trzeciego is the oldest and the longest-running music chart in Poland. Aired by Polskie Radio Program III, a division of the Polskie Radio public broadcaster, the list has been broadcast weekly since 24 April 1982. Initially hosted by Marek Niedźwiecki, since 2010 the hosting duties have been alternated by Niedźwiecki and Piotr Baron. Tracy Richard Irving Ulrich, known professionally as Tracii Guns, is an American musician best known as the founder of glam metal group L.A. Guns, as well as the supergroups Brides of Destruction and Contraband. He was also a founding member of Guns N' Roses, but left shortly afterwards and was replaced by guitarist Slash. L.A. Guns are an American hard rock band from Los Angeles, California, formed in 1983. The band currently consists of Tracii Guns, Phil Lewis, Ace Von Johnson on, Johnny Martin and Scot Coogan (drums). The first incarnation of the group was formed by Tracii Guns and Rob Gardner in 1983 and merged with fellow Los Angeles group the defunct Hollywood Rose to form Guns N' Roses in March 1985. Later that year, the group was reformed by Guns and singer Paul Black, who added new members Mick Cripps, Robert Stoddard, and Nickey Alexander. Black would soon be replaced by former Girl singer Phil Lewis while former Faster Pussycat bassist Kelly Nickels was added to the group. Later, Alexander would be replaced by former W.A.S.P. drummer Steve Riley with this being known as the "classic lineup" of L.A. Guns. They achieved moderate chart success in the late 1980s and early 1990s. However, the group went through numerous lineup changes and failed to regain mainstream attention. Manuel "Manny" Charlton is a founding member of the Scottish hard rock band Nazareth and was their lead guitarist from 1968 to 1990. Its distinct symphonic overtone owes to a sweeping string arrangement, orchestrated by Rose. :318  Most live performances during the Use Your Illusion tour lacked the orchestral backing of the song (the 1992 MTV Video Music Awards being the best-known exception). The song is written in key of B major and B minor. Composite image of the wedding dress from the "November Rain" music video worn by Stephanie Seymour. The music video, directed by Andy Morahan,  portrays Rose marrying his then-girlfriend Stephanie Seymour, intercut with a live performance in a theater. Particularly, it can be noted for its large budget (about $1 million, including Seymour's dress) and cinematography by Mike Southon, which won an MTV Video Music Award for Best Cinematography. It is one of the most expensive music videos ever. Slash is prominently featured, including a sequence of helicopter shots swooping around him as he plays the first guitar solo and a later scene where he plays the third solo while standing on Rose's piano onstage. Casting coordinator Mark Roberton observed; "the camera-man had a lot of responsibility, as the crane-cam was so close to Slash, precariously stood atop a piano that was near the stage edge. One wrong twitch and the guitarist would've had a long drop!" The video for "November Rain" uses the full version of the song as opposed to an abridged version. The Orpheum Theater, a theater in downtown Los Angeles, was acquired for an evening shoot that went several hours into the night. Brad Hartmaier was the production designer for the New Mexico sequences at the Silverado Movie Ranch. Working from sketches he made while sitting in the hotel bar, Hartmaier managed to build and dress two church sets with the help of local crews. The exterior church set consisted of a dilapidated old building that was trucked out to the middle of a large prairie and turned into the prominent church in the video. Multiple crews worked for 24 hours straight building the main church and a duplicate interior church set complete with fly away walls, hand-made cathedral windows and decorations befitting the southwestern region where it was shot. Hartmaier was in the church with a walkie-talkie with Slash as a helicopter circled above for the big shot. Slash asked him what he did and he replied, "I'm the production designer, slash art director slash prop man, slash painter, slash mad scientist." Slash quickly replied with a chuckle...'Ha ha, I'm just Slash.'" Hartmaier later said of working on the video, "It was the best experience of my life." Nigel Phelps was the original production designer; Hartmaier was the art director for the Los Angeles video segments, then later became the production designer for the New Mexico segments after Phelps moved onto a feature film during the later part of the making of the video. The priest in the video, an Italian man named Gianantonio, was a friend of Rose. Unbeknownst to the band, the church used for the interior shots was where the priest had performed some of his last services, eight years prior to the shooting of the video. The music videos for "November Rain", "Don't Cry" and "Estranged" form an unofficial trilogy of sorts. While never specifically confirmed by the band, Rose and Del James (whose short story "Without You" served as inspiration for the video, for which he was credited at the end) have made statements supporting this idea. The similarity in production, style and plots can be considered evidence of this intent. In July 2018, it became the first video made before YouTube's founding to surpass one billion views  , and as of March 2019 has received over 1.1 billion views. Axl Rose performing "November Rain" at Nottingham Arena, Nottingham, UK, in May 2012. Before release of Use Your Illusion I , the song was first played live at Deer Creek Music Center on May 29, 1991. "November Rain" has been a staple at Guns N' Roses concerts ever since it was released in 1991. The song is usually preceded by Rose, sometimes playing "It's Alright" by Black Sabbath or "Someone Saved My Life Tonight" by Elton John on piano. On the Chinese Democracy Tour, each of the guitar solos is played by a different guitarist. Robin Finck (2001-2002) or Richard Fortus (2002–2014) plays the first one, Finck (2001–2007) or DJ Ashba (2009–2014) plays the second one, and Buckethead (2001–2002) or Bumblefoot (2006–2014) plays the final solo. Since 2001, Rose oversings the two last outro verses. In Houston, on August 8, 2016, Rose's piano went badly out of tune. He noticed it during the first verse, but ultimately stopped at the beginning of the second verse. After laughing off the incident, he finished the song with a broken piano. 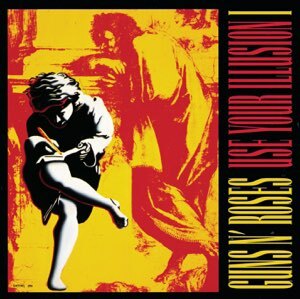 Use Your Illusion I is the third studio album by American rock band Guns N' Roses, released on the same day as its counterpart Use Your Illusion II. Both albums were released in conjunction with the Use Your Illusion Tour. The album debuted at No. 2 on the Billboard charts, selling 685,000 copies in its first week, behind Use Your Illusion II's first-week sales of 770,000. Use Your Illusion I has sold 5,502,000 units in the United States as of 2010, according to Nielsen SoundScan. Each of the Use Your Illusion albums have been certified 7× Platinum by the RIAA. It was nominated for a Grammy Award in 1992. "Sweet Child o' Mine" is a song by American rock band Guns N' Roses, appearing on their debut album, Appetite for Destruction. Released in August 1988 as the album's third single, the song topped the Billboard Hot 100 chart, becoming the band's only number 1 US single. Billboard ranked it the number 5 song of 1988. Re-released in 1989, it reached number 6 on the UK Singles Chart. 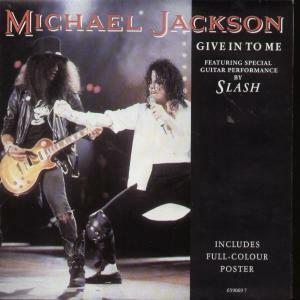 Guitarist Slash said in 1990, "[The song] turned into a huge hit and now it makes me sick. I mean, I like it, but I hate what it represents." Darren Arthur Reed, better known by his stage name Dizzy Reed, is an American musician and occasional actor. He is best known as the keyboardist for the rock band Guns N' Roses, with whom he has played, toured, and recorded since 1990. The Use Your Illusion Tour was a concert tour by the rock band Guns N' Roses which ran from January 20, 1991 to July 17, 1993. 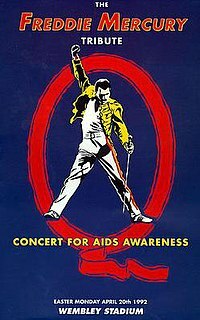 It was not only the band's longest tour, but one of the longest concert tours in rock history, consisting of 194 shows in 27 countries. It was also a source of much infamy for the band, due to riots, late starts, cancellations and outspoken rantings by Axl Rose. 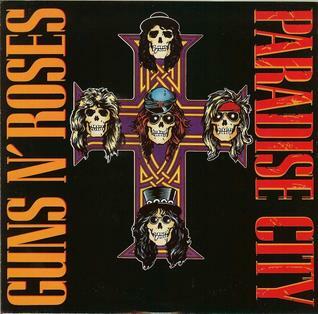 "Paradise City" is a song by the American rock band Guns N' Roses, featured on their debut album, Appetite for Destruction (1987). It was released as a single in January 1989. It is also the only song on the album to feature a synthesizer. It is frequently played at sports stadiums during games along with "Welcome to the Jungle", also from Appetite for Destruction. The song peaked at number five on the Billboard Hot 100—becoming the band's third single to reach the Top 10—and number six on the UK Singles Chart. It also topped the Irish Singles Chart, their first of three singles to do so. "Welcome to the Jungle" is a song by American rock band Guns N' Roses, featured on their debut album, Appetite for Destruction (1987). It was released as the album's second single initially in the UK in September 1987 then again in October 1988 this time including the US, where it reached number seven on the Billboard Hot 100 and number 24 on the UK Singles Chart. "Patience" is a power ballad by American hard rock band Guns N' Roses, which appears on the album G N' R Lies and was released as a single in 1989. The song peaked at #4 on the Billboard Hot 100. The song is played using three acoustic guitars and was recorded in a single session by producer Mike Clink. A music video of the song was shot and appears on the band's music video DVD, Welcome to the Videos. "It's So Easy" is a song by the American rock band Guns N' Roses. It featured on their debut studio album, Appetite for Destruction (1987). The song was released as the band's first single on June 15, 1987, in the UK, where it reached number eighty-four on the UK Singles Chart as a double A-Side with "Mr. Brownstone". It was also released in Germany around the same time. The songs "Shadow of Your Love" and "Move to the City", featured on the 12-inch vinyl and 12-inch picture disc editions of the single, were written by members of Guns N' Roses while in the band Hollywood Rose, and were later released in Japan on the EP Live from the Jungle. "Move to the City" had previously been released in the US on the 1986 EP Live ?! *@ Like a Suicide and was later released worldwide on the album G N' R Lies. "You Could Be Mine" is a song by American rock band Guns N' Roses, featured on their 1991 fourth studio album Use Your Illusion II. It was released as the band's seventh single, and the first from the Use Your Illusion albums, in June 1991. Backed with "Civil War" from Use Your Illusion II, the single reached number 29 on the Billboard Hot 100 chart and number three on the UK Singles Chart. "Civil War" is a song by the rock band Guns N' Roses which originally appeared on the 1990 compilation Nobody's Child: Romanian Angel Appeal, and later on the 1991 album Use Your Illusion II. It is a protest song on war, referring to all war as "civil war" and stating that war only "feeds the rich while it buries the poor". In the song, lead singer Axl Rose asks, "What's so civil about war, anyway?" "Since I Don't Have You" is a song written and composed by Jackie Taylor, James Beaumont, Janet Vogel, Joseph Rock, Joe Verscharen, Lennie Martin, and Wally Lester. It was a 1958 hit single for the doo-wop group the Skyliners on the Billboard Hot 100. It was recorded by Barbra Streisand in 1974. Country music singer Ronnie Milsap had a hit with the song in 1991. Guns N' Roses also had some success in 1994 with their top ten hit cover on the UK Singles Chart. "Live and Let Die" is the main theme song of the 1973 James Bond film Live and Let Die, written by Paul and Linda McCartney and performed by Wings. It was the most successful Bond theme to that point, charting at No. 2 on the US Billboard Hot 100 and No. 9 on the UK Singles Chart. The discography of Guns N' Roses, an American hard rock band, consists of six studio albums, one live album, two compilation albums, three extended plays (EPs), 19 singles, nine video albums and 21 music videos. 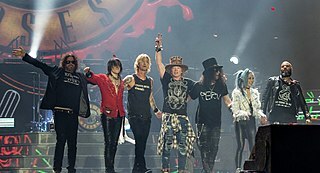 Guns N' Roses was formed in Los Angeles, California with an original recording lineup of lead vocalist Axl Rose, lead guitarist Slash, rhythm guitarist Izzy Stradlin, bassist Duff McKagan and drummer Steven Adler. After self-releasing the EP Live ?! *@ Like a Suicide in December 1986, the band signed with Geffen Records and released its debut studio album Appetite for Destruction the following July. It topped the US Billboard 200 and went on to become one of the best-selling albums of all time, with reported sales over 30 million units worldwide, 18 million of which are in the US. 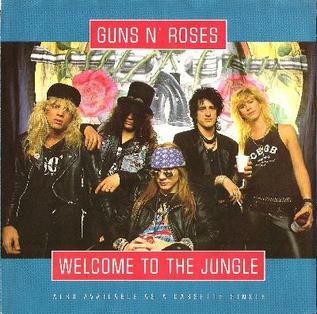 Three singles – "Welcome to the Jungle", "Sweet Child o' Mine" and "Paradise City" – reached the US Billboard Hot 100 top ten, with "Sweet Child o' Mine" topping the chart. "Chinese Democracy" is a song by the American rock band Guns N' Roses, and the title track from their sixth studio album of the same name. The song was released as the band's twenty-first radio single on October 22, 2008 and was released on the iTunes Store on November 9, 2008. It was primarily written by Axl Rose and Josh Freese. It was the band's first single of original material since "Estranged" was released in 1994 as the final single off the 1991 album Use Your Illusion II. "Estranged" is a power ballad by the American hard rock band Guns N' Roses. It is from the album Use Your Illusion II. The song reached #16 on the Billboard Mainstream Rock Tracks chart in early 1994. ↑ Thramer, Eddie (2011). Shifting Gears: The Story of a Small Town Simple Man. iUniverse. p. 88. ISBN 9781462068449. ↑ Guns 'n Roses- November Rain @Discogs.com Retrieved 10-26-2014. 1 2 3 4 Bozza, Anthony, & Slash (2007). Slash. New York: Harper Entertainment. ↑ Rowland, Mark (February 1991). "LA Law and Disorder". Select, reprinted from Musician . p. 46. ↑ Rock, The. "The Rock - New Zealand's rock radio station". ↑ "The Top 200 Tracks of the 1990s: 150-101 - Page 2 - Pitchfork". 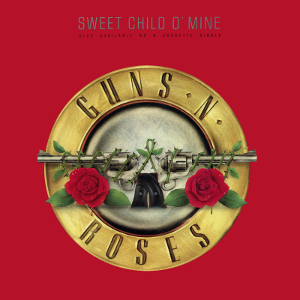 ↑ "Guns N Roses - November Rain — Rock&Pop". December 24, 2012. 1 2 "Offiziellecharts.de – Guns N' Roses – November Rain". GfK Entertainment Charts. Retrieved December 31, 2015. 1 2 "Australian-charts.com – Guns N' Roses – November Rain". ARIA Top 50 Singles. Retrieved December 31, 2015. 1 2 "ARIA Charts - End Of Year Charts - Top 50 Singles 1992". ARIA Charts . Australian Recording Industry Association . Retrieved December 31, 2015. 1 2 "ARIA Charts - End Of Year Charts - Top 50 Singles 1993". ARIA Charts. Australian Recording Industry Association. Retrieved December 31, 2015. 1 2 "Charts.nz – Guns N' Roses – November Rain". Top 40 Singles. Retrieved December 31, 2015. 1 2 "End of Year Charts 1992 - Top Selling Singles of 1992". Recorded Music NZ . Retrieved December 31, 2015. 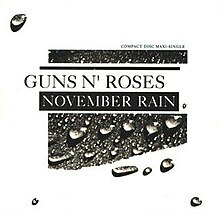 ↑ "mvdbase.com - Guns 'n' Roses - "November rain"". mvdbase.com. ↑ "SoYouWanna.com - Learn What You Wanna Do". Soyouwanna.com. Archived from the original on November 28, 2006. ↑ Thompson, Stephen (July 18, 2018). "'November Rain' Is The Oldest Song With A Billion YouTube Views – What's That Mean?". NPR.org. Retrieved August 25, 2018. ↑ "Flashback: Guns N' Roses Play 'November Rain' With Elton John". Rolling Stone. 2 April 2013. Retrieved 27 October 2016. ↑ "Austriancharts.at – Guns N' Roses – November Rain" (in German). Ö3 Austria Top 40. Retrieved December 31, 2015. ↑ "Ultratop.be – Guns N' Roses – November Rain" (in Dutch). Ultratop 50. Retrieved December 31, 2015. ↑ "Top RPM Singles: Issue 1987." RPM . Library and Archives Canada. Retrieved December 31, 2015. ↑ "Lescharts.com – Guns N' Roses – November Rain" (in French). Les classement single. Retrieved December 31, 2015. ↑ "The Irish Charts – Search Results – November Rain". Irish Singles Chart. Retrieved December 31, 2015. ↑ "Nederlandse Top 40 – week 40, 1992" (in Dutch). Dutch Top 40 Retrieved February 22, 2019. ↑ "Dutchcharts.nl – Guns N' Roses – November Rain" (in Dutch). Single Top 100. Retrieved December 31, 2015. ↑ "Norwegiancharts.com – Guns N' Roses – November Rain". VG-lista. Retrieved December 31, 2015. ↑ "Notowanie nr542" (in Polish). LP3. July 10, 1992. Retrieved February 22, 2019. ↑ Salaverri, Fernando (September 2005). Sólo éxitos: año a año, 1959-2002 (1st ed.). Spain: Fundación Autor-SGAE. ISBN 84-8048-639-2. ↑ "Swedishcharts.com – Guns N' Roses – November Rain". Singles Top 100. Retrieved December 31, 2015. ↑ "Swisscharts.com – Guns N' Roses – November Rain". Swiss Singles Chart. Retrieved December 31, 2015. ↑ "Official Singles Chart Top 100". Official Charts Company. Retrieved December 31, 2015. ↑ "Guns N Roses Chart History (Hot 100)". Billboard. Retrieved December 31, 2015. ↑ "Guns N Roses Chart History (Mainstream Rock)". Billboard. Retrieved December 31, 2015. ↑ "Guns N Roses Chart History (Pop Songs)". Billboard. Retrieved December 31, 2015. ↑ "Official Singles Chart Top 100". Official Charts Company. Retrieved December 26, 2018. ↑ "The RPM Top 100 Hit Tracks of 1992" (PDF). RPM . Vol. 56 no. 25. December 19, 1992. p. 8. Retrieved March 23, 2019. ↑ "Offizielle Deutsche Charts - Top 100 Single-Jahrescharts - 1992". GfK Entertainment . Retrieved December 31, 2015. ↑ "Top 100-Jaaroverzicht van 1992". Dutch Top 40. Archived from the original on April 14, 2014. Retrieved December 31, 2015. ↑ "Jaaroverzichten - Single 1992". Single Top 100 . Retrieved December 31, 2015. ↑ "Top 100 Hits for 1992". Longbored Surfer. Retrieved December 31, 2015. ↑ "Gold-/Platin-Datenbank (Guns N' Roses; 'November Rain')" (in German). Bundesverband Musikindustrie . Retrieved December 31, 2015. ↑ "Italian single certifications – Guns N' Roses – November Rain" (in Italian). Federazione Industria Musicale Italiana . Retrieved April 26, 2017. Select "2017" in the "Anno" drop-down menu. Select "November Rain" in the "Filtra" field. Select "Singoli online" under "Sezione". ↑ "Dutch single certifications – Guns 'n' Roses – November Rain" (in Dutch). Nederlandse Vereniging van Producenten en Importeurs van beeld- en geluidsdragers . Retrieved February 22, 2019. Enter November Rain in the "Artiest of titel" box. ↑ "New Zealand single certifications – Guns N' Roses – November Rain". Recorded Music NZ . Retrieved December 31, 2015. ↑ "British single certifications – Guns N' Roses – November Rain". British Phonographic Industry . Retrieved March 9, 2018. Select singles in the Format field. Select Gold in the Certification field. Type November Rain in the "Search BPI Awards" field and then press Enter. ↑ "American single certifications – Guns N' Roses – November Rain". Recording Industry Association of America . Retrieved December 31, 2015. If necessary, click Advanced, then click Format, then select Single, then click SEARCH.